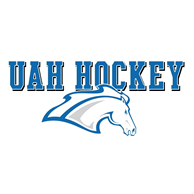 The UAH Hockey season is upon us! The HAAA has once again acquired an ice-level suite for the 2016-17 season and will host Alumni Night for the first home game. Join us when Theta Pi Chapter partakes in the annual "fish throw" when UAH scores their first goal! Season suite tickets are a privilege of contributors to the "Renew Your Ribbons" campaign. Those who have renewed their ribbons will have an opportunity to reserve tickets to any UAH home game. Please contact Tyler Brennan at (256) 970-5780 to reserve your seats!